Naomi Osaka reached her second consecutive Grand Slam final after defeating Karolina Pliskova in a three-set battle on Thursday. 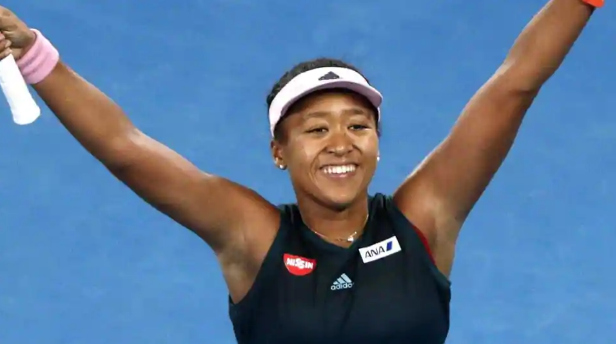 In a match of the highest quality that saw electrifying winners, Osaka held her nerve to record a 6-2, 4-6, 6-4 victory to advance to her first Australian Open final. Osaka, the reigning US Open champion, has built a 13-match winning streak at Grand Slam tournaments, and will meet Petra Kvitova for a shot at a second straight major title. The last player to win back-to-back Grand Slam trophies was Serena Williams in 2015. The two women combined to hit 76 winners against 51 errors in a pulsating match under the Rod Laver Arena roof. Osaka showed in the first game how dangerous she could be when she brought up a break point. She couldn’t convert that, but on her next attempt she fired back-to-back winners to break for 2-1. She extended that lead with another break in the seventh game, and held serve the next game to take the first set 6-2. It looked as if the match was heading for a speedy conclusion as Osaka broke in the opening game of the second, but Pliskova broke back immediately. She crawled her way back from 0-40 down to hold serve in the third, which showed that the match could still go either way. It looked liked the set was heading for a tie break, but in the 10th game, Pliskova broke to love to square the match at one set apiece. Pliskova won her third third straight game by holding the opening game of the third. She could’ve made it four, but Osaka saved three break points by striking great winners. She continued that momentum into the third, and broke Pliskova to love. She did not surrender that break and went on to book her spot in Saturday’s final with a 6-2, 4-6, 6-4 victory. She will face Petra Kvitova in the final after the Czech reached her first Grand Slam final since 2014, defeating Danielle Collins 7-6, 6-0 earlier on Thursday. In the final match of the day Rafael cruised into his fifth Australian Open final after defeating Stefanos Tsitsipas 6-2, 6-4, 6-0.